By now you have seen some of the crazy stuff we do with solid surface materials. Our roots had their start though, with simple countertops applications. Don't let our large projects scare you. We still love working with homeowners and local kitchen dealers. Imagine how cool it will be to tell your friends and family that the guys who made those iconic chairs in Grand Central Station made your countertops! We use all the technology available, from digital templating to computerized programming and cutting of the entire top. And to put the finishing touch, proper sanding and finishing of the solid surface to insure ease of maintenance. We don’t take shortcuts, and the finished product shows it! You'll love the results Sterling Surfaces can provide. Minimal customer wait time. Our quoting is done quickly and accurately, offering the best template to install lead times in the industry. Digital templating. This results in precise measurements, and even allows for templating over existing countertops. 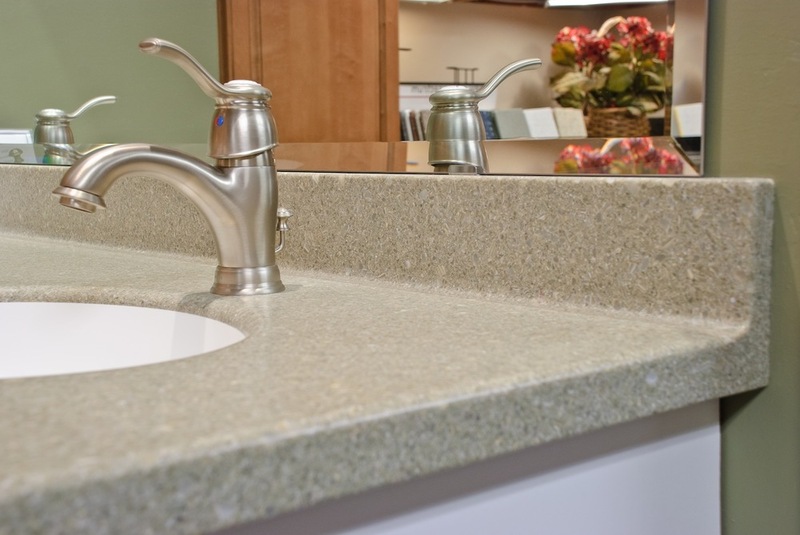 Customers are never left without a counter or sink. Cove backsplash and corner. Unlike loose backsplash and mitred corners that many only offer, our coved backsplash and corners are easy to clean and more hygienic. Full height backsplash. Our experienced CAD designers and 4 axis CNC makes it possible to create beautiful full height backsplash with any shape or pattern. Complete and thorough sanding. Our experienced craftsmen coupled with the industry's best equipment make for a high quality finish. Expert installation. Our reliable and presentable installers are uniformed and fully insured providing clean, 99% dust free installations.